Special Top Jaws from Dillon Manufacturing can be manufactured to grip a components ID, OD or a combination of both, to suit any workholding application. Available in soft or hard jaws, or full grip jaws, for virtually any chuck manufacturer, Dillon manufactures special top jaws from 1018, 1045, 4140, 8620, A-2, 6061 aluminum, and stainless steel. A comprehensive website provides complete details and includes an “easy quote” format with “fill-in-the-blanks” convenience HERE. 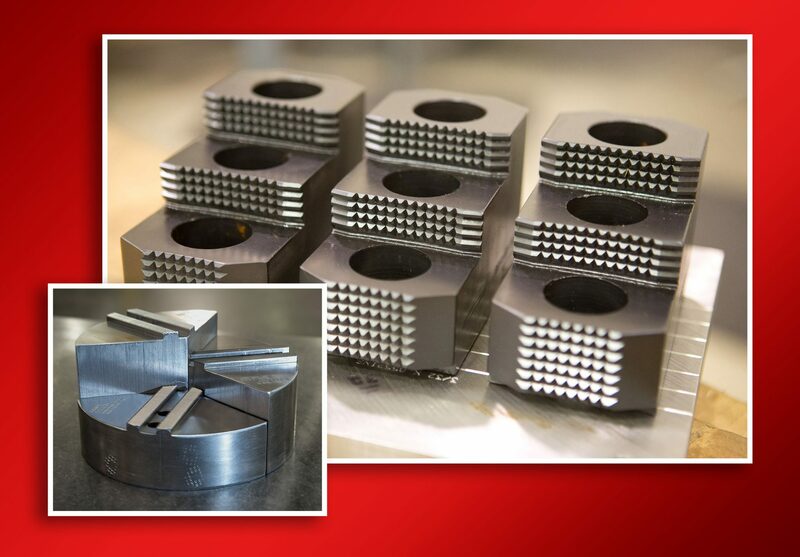 Dillon standard and custom chuck jaws and collet pads and jaws are ideal for high speed machining, as well as precision boring, tapping, drilling and finishing across virtually all industrial markets. Dillon custom, special, or modified hard, soft or full grip top jaws are manufactured with industry-best turnaround time, which saves time and money by reducing down-time. Dillon Manufacturing, Inc. manufactures a complete line of standard and custom workholding solutions including chuck jaws, chucks, vise jaws, soft jaws, hard jaws, collet pad jaw systems, chuck lubrication, and more. All products are made in the USA and Dillon is ISO 9001:2015 registered. For additional information visit www.dillonmfg.com, e-mail sales4@dillonmfg.com, call (800) 428-1133, or write Dillon Manufacturing, Inc., 2115 Progress Drive, Springfield, OH 45505.